Dr. Lonier graduated locally from Williamston High School, received a Bachelor degree in College of Business at Michigan State University and Ohio State University with a degree of Doctor of Dental Surgery. He is a member of the ADA, MDA, and CDDS. 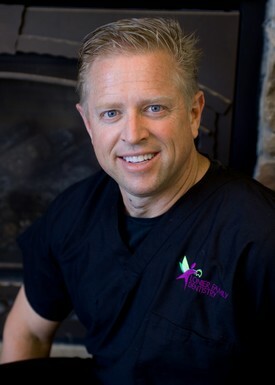 Dr. Lonier was voted by the community - Williamston Best Dentist for 2012. He actively pursues additional dental education, but is most proud of his continuing involvement at the prestigious Pankey Institute. Their focus of this education is to provide you with conservative dental care that allows you to keep your smile beautiful and pain free for a life time. He resides in Williamston with his wife Lesia of 24 years and their two daughters, Rachel and Paige. The children keep them busy with school events and sports. Outside of the office, Doctor enjoys spending time the family, running and plenty of golf!! The Dental Assistants and Dental Hygienist at Dr. Lonier's office are licensed through the State of Michigan. The doctor and our staff frequently take continuing education courses in order to keep the office up to date in the latest developments regarding your dental health.